This stunning example was delivered by Sportwagenzentrum Osnabruck on 06 February 1996 in GrandPrix While (908) to M003 (Clubsport) specifications. 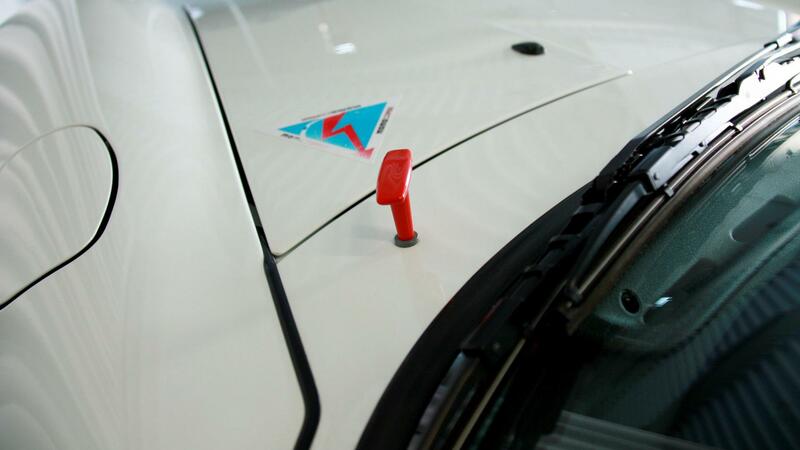 Notably, it was optioned with a Blaupunkt Düsseldorf RCR 84 carradio. This Clubsport’s was sold in Germany on April 23rd 1998 to its last owner who had the car for over 20 years having 14.800km on the odometer. Since then the car has been used very carefully on the road. Today the car has 62.000km. Its paint is still the cars first paint (100%) and is in an incredibel state! 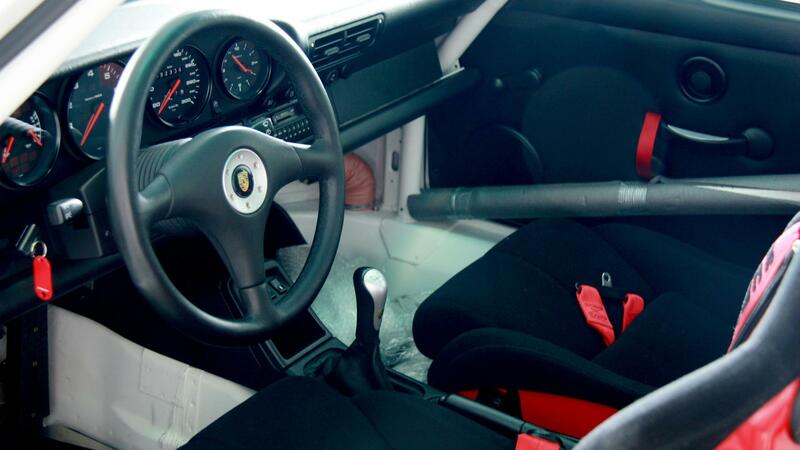 This RS Clubsport is barely broken in, and is supplied with its original owner’s manuals and service booklets in their leather pouch, the original tool roll, jack, and collapsible spare in the front compartment, and service invoices. Recently the car has got a full body treatment by a renowed Swissvax partner. Have a look at this very nice movie. 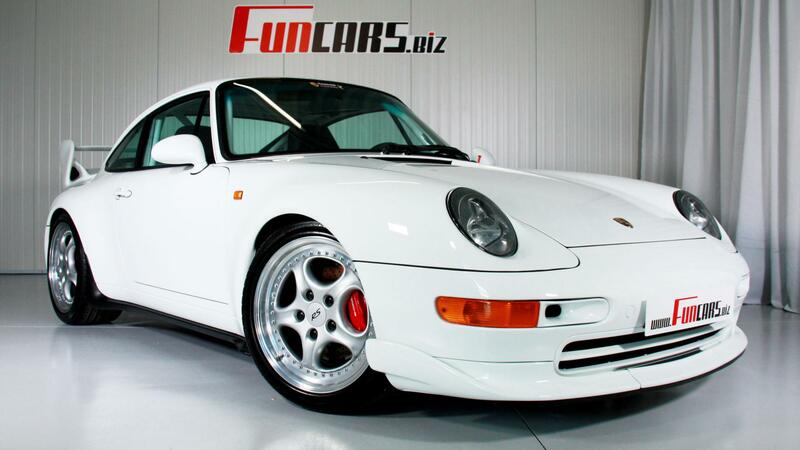 This Carrera RS Clubsport is arguably the best naturally-aspirated, air-cooled 911 ever built! 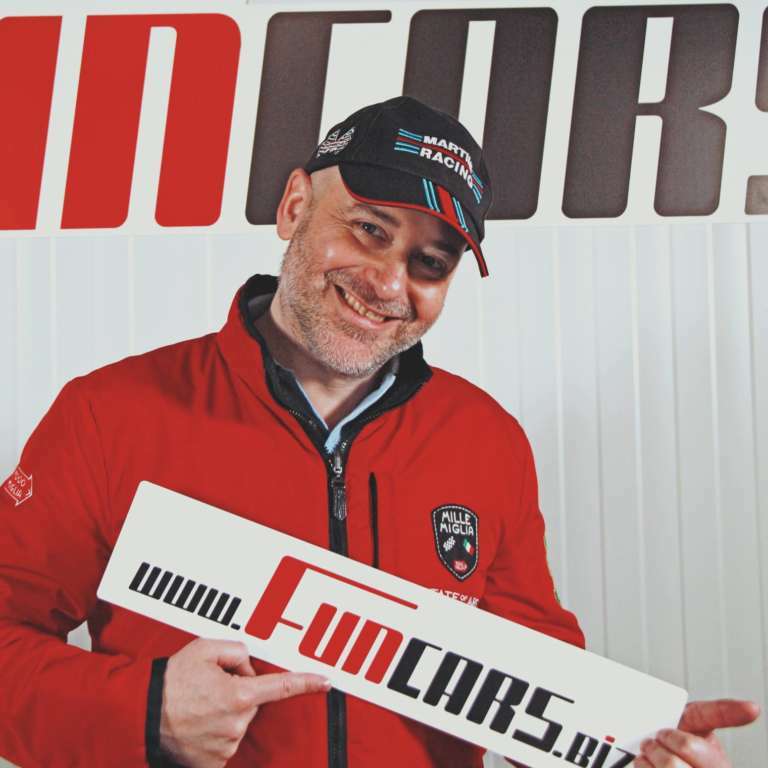 Wouter Van den Avont from Funcars looks forward to your questions and is happy to help you. Please mention Elferspot when calling Funcars. The 911 Carrera RS celebrated its world premiere at the 1995 Amsterdam Auto Show, as an exclusive racer for street and sport. Delivery to customers began in May 1995. Porsche would at the very least build the 1.000 examples necessary for homologation in the national N/GT competition class. Eventually, Porsche built 1,104 examples of the Carrera RS, but along with those were 213 (190 left-hand drive and 23 right-hand drive) track-oriented versions called the Clubsport. 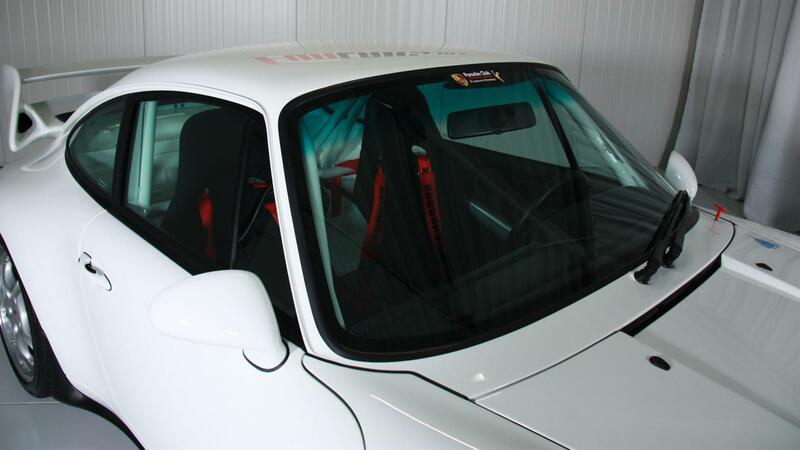 The Clubsport was based on the Carrera Cup competition car and specifically conceived as a homologation special for the BPR GT3 and GT4 categories. 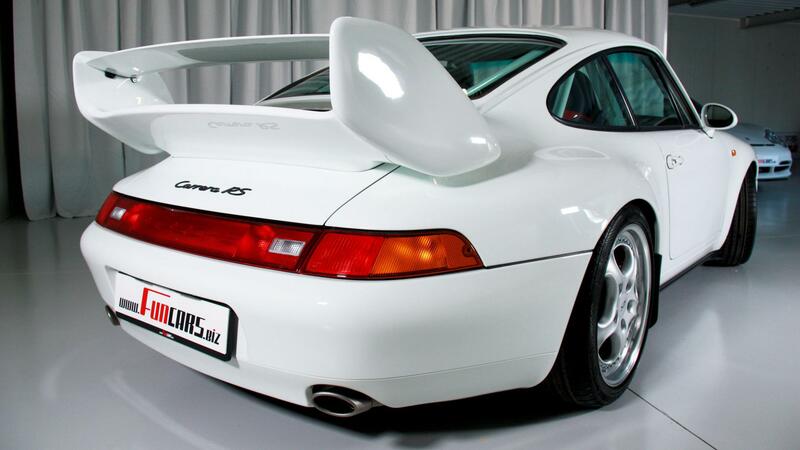 The standard 3.6-liter engine of the Carrera RS was bumped up to 3,746-cc by an increase in its bore to 102 millimeters, but it still retained the RS’s standard 76.4-millimeter stroke. 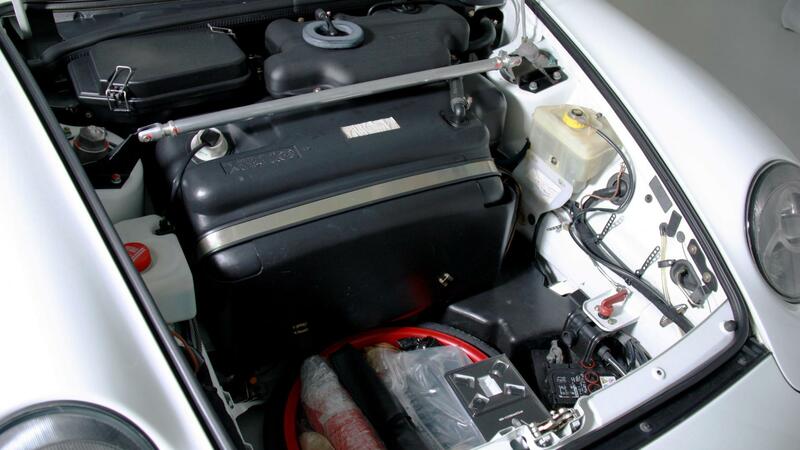 This engine was fitted with Porsche’s innovative Varioram intake system and the Bosch Motronic engine-management system, and produced a very healthy 300 ps at 6,500 rpm. Power is delivered through a single-mass flywheel to Type G50/31 six-speed manual transmission. 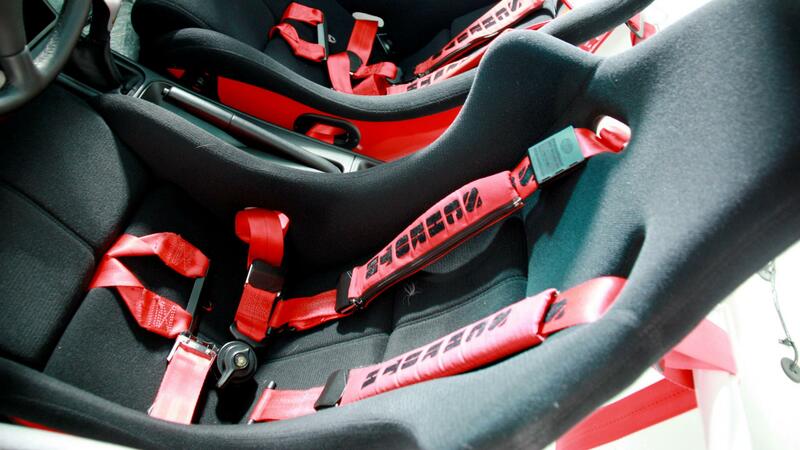 Porsche also focused on making the Clubsport as light as possible. 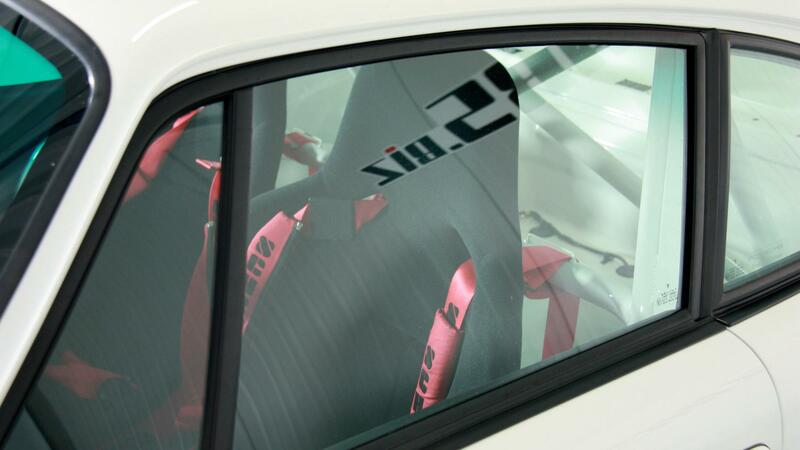 The RS had already been placed on a severe diet through the use of aluminum alloy front hood lid and doors, lightweight interior door cards, thinner glass, and hard-backed Recaro sports seats with six-point racing belts. 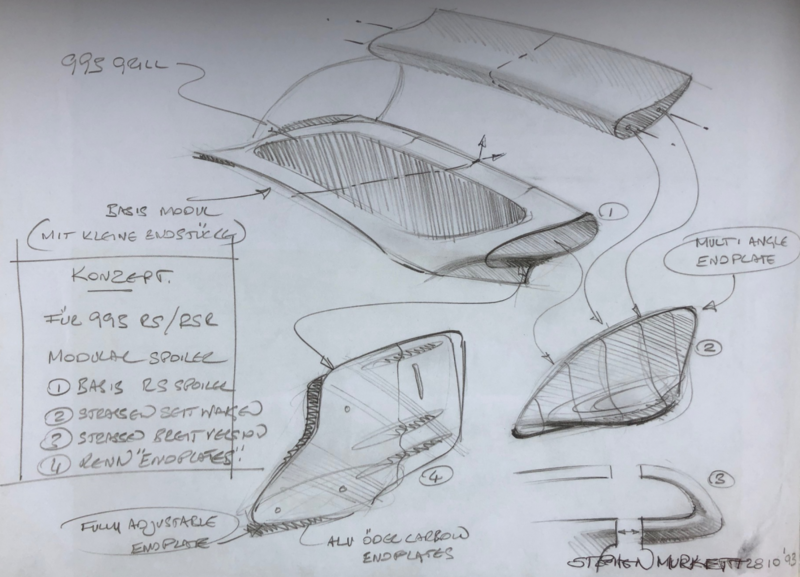 The headliner was deleted, along with the 993’s electric seats, windows and mirrors, central locking system, intermittent wipers, radio and speakers, rear defroster, and airbags. Added were a full welded-in Matter roll cage, front strut brace, ball-joint front damper mounts, adjustable front and rear anti-roll bars, a battery cut-off switch, and a fire extinguisher. The interior was devoid of any trim or insulating material, and painted in body color. The RS Clubsport was fitted with 18-inch diameter, three-piece center-lock “Speedline for Porsche” aluminum wheels with magnesium centers. 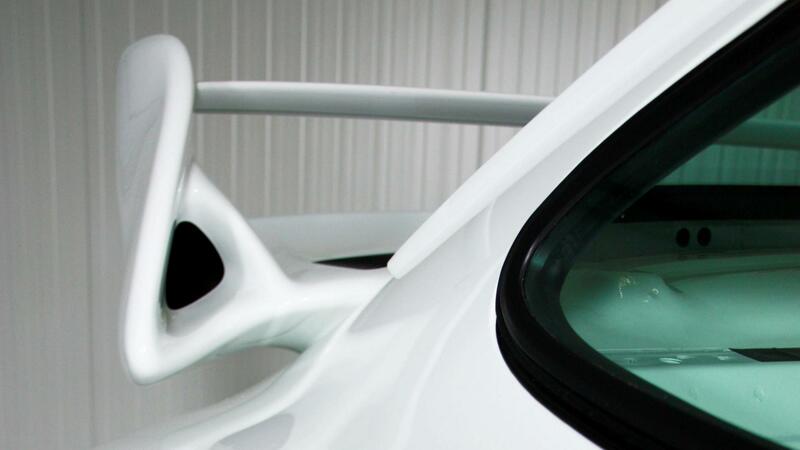 A special front air splitter and large rear wing made the Clubsport unique.